In today’s modern world of innovations and advanced technology, there are now many devices that make life more convenient. For instance, a smart phone is no longer a simple phone. It is now integrated with many functions like web browsing, camera, and instant messaging. Likewise, the lock and key industry has joined the bandwagon. The traditional lock and key systems are consistently upgrading their products to improve functionality and quality. Recently, the creation of smart locks has created quite a stir in the public. 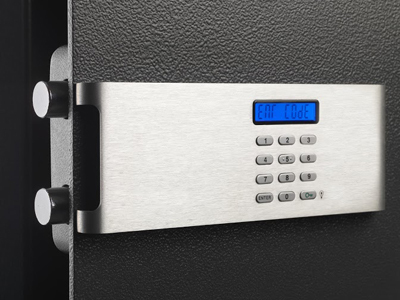 While some experts say that there is a slow market growth for this innovation, the future is actually bright and promising in the field of lock security. In fact, leading manufacturers of locks and keys are competing and attempting to improve the traditional lock and key systems. One of the smart locks introduced to the public is the virtual key system that allows users to monitor as well as control door access by simply using a mobile app. However, this technology has discouraged many people, as this requires a rather complicated installation process if they opt to upgrade. While this technology certainly looks promising, there are still issues that need to be addressed. For instance, there is the question of what will happen if the battery in your mobile phone dies. Another technology introduced is the virtual, remote controlled peephole. This technology features a camera that sends real time images to the homeowners. They can now see who is at their front door and can lock or unlock their doors remotely. The great thing about this technology is that the manufacturers have added a normal deadbolt. This means that the users do not have to rely on their phones all the time. Advocates of smart locks maintain that the main issue revolving around this technology is the matter of security. With this in mind, lock and key manufacturers go all out researching the new methods in technology that will be applicable to real life situations. As the trend continues, more and more people are looking for that ultimate device that can control and promote the security of their homes.